Complete troubleshooting ideas to try when dealing with performance issue on an LG V30, including Safe Mode, Recovery Mode, and wipe cache partition, complete with explanation and step by step guide. Technology always moves forward. New smartphone with new feature launched within short amount of time. But no matter how seamless the technology move, problem do happens. For that reason, every phone owner needs to know at least the basic troubleshooting when dealing with performance issue on their smartphone. The most basic troubleshooting that works on all types of smartphone is restarting the phone. This action works to solve plenty of minor issue, but sometimes it isn’t enough. You need to work with something else. Here is the basic troubleshooting action worth to try whenever you are dealing with performance issue on LG V30. Safe Mode put the phone in a safe situation where no 3rd party app loaded. It means that if one of those additional apps causing issue with the phone, the same issue won’t show up in Safe Mode. If you suspect that one of the 3rd party apps on LG V30 is causing the problem, you should try this basic troubleshooting action. Once you manage to boot the phone into Safe Mode, check for everything. Check for the phone performance, feature, function and everything else. If everything works without a hitch, you need to get rid one of those additional apps. While the phone is on, press and hold Power button long enough until “Power menu” appear. Do it just like when you want to Power Off the phone. Tap and hold the “Power Off” option on the menu. A dialog box will appear that ask you whether you want to enter “Safe Mode” or not. Confirm this action by tap “OK” and let the device boot into Safe Mode. In Safe Mode, look for Safe Mode text on the bottom of the screen. This is the sign that the phone is now working in Safe Mode. You also won’t find any of those 3rd party apps, because they all are temporarily disabled in this mode. Proceed with the plan, and check for everything about the phone to determine if the performance issue caused by 3rd party app or not. If the problem caused by 3rd party app, you need to determine which app caused the problem and uninstall it to fix the problem. You can go back to standard operating mode by restart the phone as usual. Recovery Mode on LG V30 is a special mode that you should use as part of troubleshooting action when dealing with performance issue on the phone. The main idea of this special mode is to give you access and allow you to perform different type of action to recover the phone. Actions such as factory reset, wipe cache partition and software update are the kind of thing you can do from this mode. Try this action if you can’t boot the phone into Safe Mode or if no change happens after you boot into Safe Mode. Press and hold Power and Volume Down button in the same time for several seconds until you see LG logo appear on the screen. When the LG logo is displayed, release the Power button (keep pressing the Volume Down key) for a moment and then press it again. This time, keep pressing on those buttons until your device boot up into Recovery Mode. When the device has enter Recovery Mode, then you can release both buttons. In the Recovery Mode, you can navigate through the available options by using Volume button, and to choose an option, you can use Power button. When you are done with it, you can choose the “Reboot System Now” options where it will bring your device back to its normal mode. Back in standard operating mode, check for the phone performance. Does it still show the same issue as before? What is cache partition? It is a partition or an area that stored cache or temporary data. The phone need cache data to speed up the process of loading an app or opening your favorite website. It works great for the system and your phone need it. But sometimes, these temporary data may get mixed up and corrupted. When it happens, it will disrupt the flow of the system and causing problem. The solution is easy. Wipe the entire cache data on cache partition. The corrupted cache data will be erased and won’t disrupt the flow again. No need to worry for losing any data, because as it was stated before, cache data is only temporary data. You can wipe cache partition safely and the phone’s system will rebuild it once more. Go to “Settings” app on your LG V30. Scroll down until you come up with “Storage” option and wait for the phone to finish calculating the data. Since you want to clear out and wipe cache partition, then you need to tap on “Cache Data” section. When you tap on this section, a dialog box will pop up and ask whether you want to delete the whole cache data for the apps or not. Choose “OK” and let the process begin. When the process is complete, you can use your phone back like you used to. 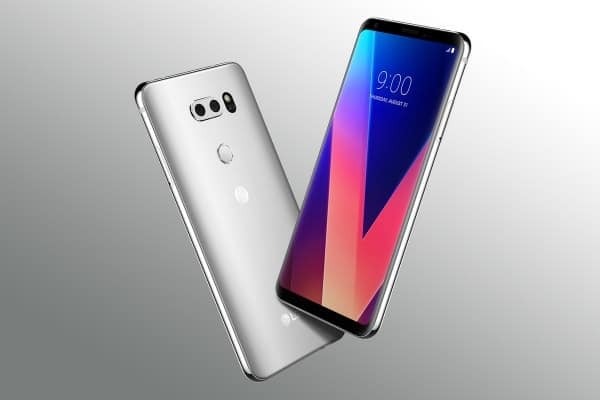 Boot the phone into Safe Mode, Recovery Mode and wipe cache partition is part of troubleshooting action to try when you are having problem with your LG V30. Each action deal with different possible cause of performance issue on LG V30. Safe Mode deal with possible trouble maker application, Recovery Mode gives you access to perform different recovery actions and wipe cache partition deal with bad and corrupted cache. The basic troubleshooting action as mentioned above works well for common performance issue such as slow performance, app that keep closing, battery that run out faster than it used to be and so on. When the basic troubleshooting didn’t manage to solve the problem, further and deeper actions need to be done based on the problem and the desired outcome.